I put a lot of thought in this mix. Not so much before recording it more like after it. The prequel is quite short: I knew I had to record a new mix and I knew I wanted to do something ambient. I went to the DJ studio at Conne Island with a bunch of records. In the studio I picked a few tracks that i thought would fit somehow and then just mixed it in one take. The track order changed a few times while I mixed it. It came out a bit different than I had in my mind. After I recording it I listened to the mix a lot of times. it became a companion for all sorts of situations and it made me feel like I did the mix mainly for myself. To have something pleasing when having difficulties to sleep. Here are some of the ideas that came up in my mind. I wanted to create a mix that works on two levels: on a surface level as well as on some sort of meta level. like: it should work for entertainment as well as for deep listening. When I’m recording podcasts I have difficulties getting into a party mood. So usually I end up recording ambient podcasts – it’s my favourite music to listen to right now. This mix is sort of an homage to the sleep nights I do with Onetake (a.k.a. Heiko Wunderlich – see footnote for further explanations), I tried to capture the vibe of these nights in a mix that isn’t much longer than 1 hour. The concept of these events is that we invite people to sleep while we play music for them all night. Surprisingly it works super well and in regards to djing it’s the best thing we’ve ever experienced. I love falling asleep while listening to music and I hope this mix can be used for that too. I also found out that the mix works great for airports, central stations, subways and all sorts of public transport and places (on headphones). It creates this world of your own, like a bubble around you. Even when you’re in environments you know very well, where you feel very much at home, like in your own house, lying in bed – the mix takes you to other places. It’s like every track is a story to itself and each one takes you to a different place in your mind. Some of the music I picked takes you to places we usually like to avoid. When I asked Albi after he listened to the mix he told my it got creepy at some point. I think the climax of the mix is around the 27 min mark when these voices come in that sound like someone speaking parsel (the language of snakes). Like they are trying to feed you some message there, right at the lowest point of consciousness. I like the idea of art having these two different levels of meaning: a surface layer that’s entertaining as well as a layer where it’s about the communication of abstract ideas. on the first level I can pretty much tell where the mix takes people (a mix made for sleeping and you fall asleep to). but you can’t control the effects of it like this on the second level. this is where it becomes personal and I think not a lot of people enjoy this side of art. if you do something that’s more than just pleasing it demands people to take a stand or think about the position they are in. I’m interested in art that’s a bit far off, that makes you walk an extra mile. when you feel something is there but you can’t exactly name it. when it’s a bit uncomfortable but you also feel this urge to find out what it is. I think today not many people have the time and energy to invest in that kind of art. personally i prefer more abstract ideas so that’s why i need to use more abstract sounds to communicate them. the potential audience for this is much smaller of course than for david bowie but I think I’ve never been the kind of person who finds a lot of pleasure in communication with thousands of others. I think I work much better when i focus on smaller groups of people and environments where it’s more on an eye-to-eye level. In October 2013, Ambient legend Robert Rich played one of his infamous “Sleep Concerts” at Unsound Festival in Krakow. Heiko Wunderlich and Steffen Bennemann were there and picked up the Sleep Virus. Back in Leipzig they wanted to start something inspired by it – but it took till August 2014 for the first “DJ Sleep Concert” to happen in a local garden. Attendants as well as organizers were delighted by the enormous potential of such a unique experience. Obviously, further editions were to follow (in winter at Conne Island, Leipzig) and met with rapidly growing demand. 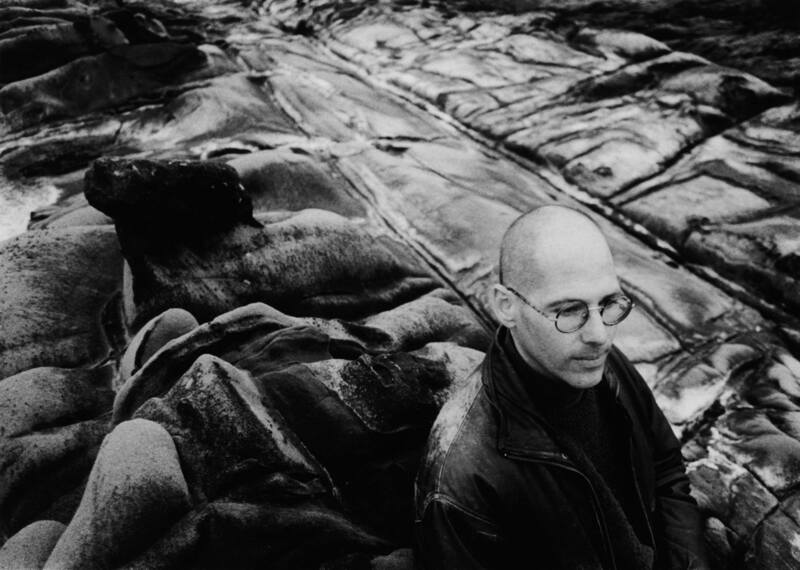 Robert Rich developed his concept of “sleep concerts” in the early 80s while studying at Stanford University in California. As his music was of rather slow and flowing movement, he saw no other way to have people listen to his music continuously than when allowed to fall asleep while listening. The observations made during his concerts fed back into his scientific research: Robert Rich studied sleep at this time, especially the different phases of sleep. He describes his concerts as a constant oscillation between falling asleep and waking up: Instead of following the natural progression of sleep phases the unusual setting of the concerts (How often have you shared a room with so many people sleeping?) and the soft sonic stimulation causes, at least for part of the audience, an interesting dialogue between dreams and what seem to be only recollections of dreams. Specifically of interest is the phase shortly after falling asleep and before waking up: It’s in this phase where the brain is most active, when memories get combined in illogic ways and pure chaos. Usually we remember these dreams only vaguely, they slip our mind as soon as we awake. But through constant oscillation between sinking in and being awoken (omitting the phase of deep sleep) we are not only capable of experiencing the phase of transition numerous times throughout the night but also have a better ability to recall these dreams.